Description:Obama’s pastor recently made some controversial remarks about AIDS as a biological weapon and the truth about Saddam’s stockpiles. So is there any truth to his claims? Welcome to the quiet war. Description: This week’s YouTube video about the grassroots organization of political activists that is transforming the political landscape. 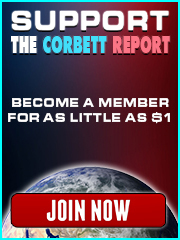 Description: Enter the coupon code jcorbett when you sign up for a subscription to get a discount…and to help fund The Corbett Report. Description: We Are Change is raising funds to fight the legal battle against the forces of tyranny massing against them. Please donate to help their cause. Description: Reverend Wright responds to people who doubt the U.S. government is capable of releasing biological agents on their own citizens. Description: Details documents and information related to the development of AIDS as a biological weapon. Description: In a too-candid-to-be-broadcast interview, Dr. Maurice Hilleman lets it slip that Merck actually brought AIDS to America as part of their vaccine development program. Description: Makes the argument that there is a connection between a government-sponsored Hep B vaccine experiment in the Manhattan gay community in the 1970s and the sudden appearance of AIDS. Description: A secret plan to control society mysteriously discovered in a discarded photocopier. Description: Another one of these mysterious documents which may or may not be a hoax about the elite’s plans to control the world through warfare and psychological manipulation. Description: The government can test biological and chemical agents on you…It’s in the law. Description: Information on Project 112 from the Department of Veteran Affairs. Description: A list of hundreds of experiments inflicting biological warfare on the population without their knowledge or consent. Documentation – Enjoy your death! Description: Alex Jones warns us of the dangers of vaccine shots. Description: Take your shots. They’re full of nourishments. The government loves you. Description: Certain questions arise about the hormone specificity and consequently the safety of the antifertility vaccines which either are in phase I clinical trials or are planned to be by the Population Council and the Indian Institute of Immunology. Description: A weatherman lets some secrets slip about the metal which the military is spraying in our skies. Description: Another weatherman lets more secrets slip about chemtrails. Description: Cutesy-pooh propaganda piece relying on the mad scientist trope to obscure the geoengineering currently being introduced to the public. Description: A children’s science textbook spills the beans on the chemtrail phenomenon. Description: Masterful propaganda piece employing the tried and true method of government disinfo: Deny deny deny…but wouldn’t it be good? 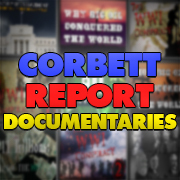 Documentation – The amero conspiracy. Description: …but wouldn’t it be good? « Episode 039 – Who is Jeff Gannon?